Welcome to St. John Fisher Elementary School! 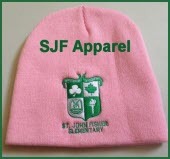 St. John Fisher Elementary School has a Junior and Senior campus, both located in Pointe Claire, Québec. We are part of the Lester B. Pearson School Board. Our 2019-2020 Kindergarten Orientation will be on Friday, May 17th in the morning. Specific times for both sessions will be confirmed via a letter that will be sent to parents sometime in April (usually 8:30 – 9:45 and 10:15 – 11:30). Your 2018 tax receipt is now available on Fusion. If you had a child attend St. John Fisher in 2018 you can access you receipt through your fusion account. If you have any questions please contact Ms. Laura at 514-695-9275. "Making each child a success story"
The mission of St. John Fisher Elementary School is to bring all students to their highest individual potential in literacy (English and French) and numeracy by providing them with excellent learning opportunities, experiences, and role models. The school aims to promote and maintain a culture of Peace within a caring community which facilitates the academic, physical, personal and spiritual growth of the students. St. John Fisher School encourages students to assume responsibility for their learning so as to enable them to become life-long learners. Our ultimate purpose is to help the student become a productive, caring, creative and confident member of a global community ready for challenges and to assume responsibility in a rapidly changing world. St. John Fisher students will be responsible, curious and creative learners prepared to meet their future academic challenges. Parents are active supportive participants, and informed collaborators in their child’s education. In our Peaceful school, students will be educated in a safe, caring, and respectful environment. All personnel will be committed to the development of the students and dedicated to the mission and vision of the school.